Talk about a Barbershop Grand Opening ! Las Vegas has always been an exciting town to party in, but it’s about to become even more incredible with the opening of The Barbershop, the hottest new bar and speakeasy in town! While the entryway to the venue may be secret, it’s hard to keep an event like this hush-hush, so we’re dishing on the deets and why you need to join us at the coolest new bar and barbershop in town! The Barbershop is the talk of the town! The venue is truly unlike any other: a Las Vegas speakeasy that isn’t just a false front, but an actual barbershop as well! Once you enter through the unassuming secret entrance, you’ll be treated to a prohibition-era space that will delight the eyes as well as the rest of the senses. A Las Vegas experience unlike any other. Unlike the typical Las Vegas bar setup featuring velvet ropes, you enter The Barbershop through a secret door that looks like the entrance into a janitor’s closet. Once you emerge into the space, you’ll be greeted with a stylish prohibition-era space with a vintage barbershop vibe. Not only can you enjoy a cut and a shave, but treat yourself to a tipsy potable to boot! The novelty and quality of the experience is truly unlike anything else. A perfect night of bar-hopping. Why visit just one bar when you can visit two? The Barbershop has a sister venue, Clique Bar & Lounge, in close enough proximity that you can indulge in a little bar hopping. Clique Bar & Lounge has a decidedly different vibe than The Barbershop, with a swanky, cosmopolitan setting where you can see, be seen, and enjoy cocktails in a beautifully appointed space. Enjoy VIP services like Tableside Mixology, and sample incredible and creative small bites in a stylish spot! Both venues are operated by the esteemed group Clique Hospitality, which means while they both offer a different experience, they have certain important things in common. Namely, you can count on a similarly high level of quality, customer service, and a high emphasis placed on delivering a great customer experience. Go ahead, live a little. Visit both venues in one night and enjoy a totally different yet fun vibe at both! The Barbershop isn’t just a front! In addition to being a speakeasy bar, it’s a real, operating barbershop. We offer services including haircuts, beard trims, shaves, brows, and facials–or you can even book the full package and really treat yourself. Our highly trained stylists are among the best in Vegas, so whether you’re getting a totally new ‘do or just a cut and a shave, you’re guaranteed to enjoy a high quality experience and exit the premises looking great. The barbershop portion of the shop will open at 10am daily, and the bar opens at 5pm. Want to make an appointment for hair and grooming services at The Barbershop? Book here. Believe it or not, great taste, world class style, and excellent drinks aren’t all that you have to look forward to at The Barbershop. We also offer an amazing entertainment schedule, featuring an ever evolving variety of events and live acts. For instance, just this month alone we’ll feature weekly karaoke, live music every Saturday, and a variety of other special events in between! Be sure to stay updated via our Events page and social media channels to see the most up to date entertainment calendar! Looking for a unique space for your next party or event? Look no further than The Barbershop. Guests will be delighted from the outset as they enter the space through the secret entrance and behold the wonders within. 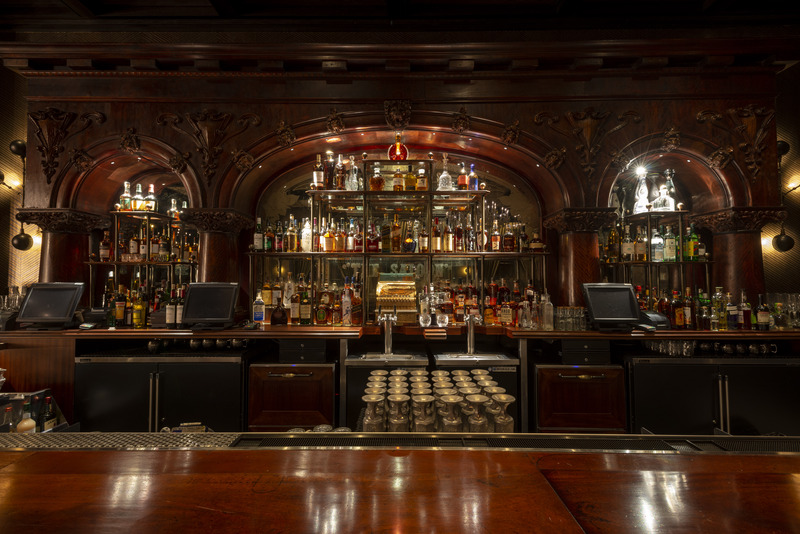 We offer both full and partial buyouts, and can accommodate up to 130 people. Curious to learn more? Click here to view group menus, and feel free to reach out to groupsales@cliquehospitality.com for more information! Conclusion: The Barbershop truly is a venue that you have to see to believe. 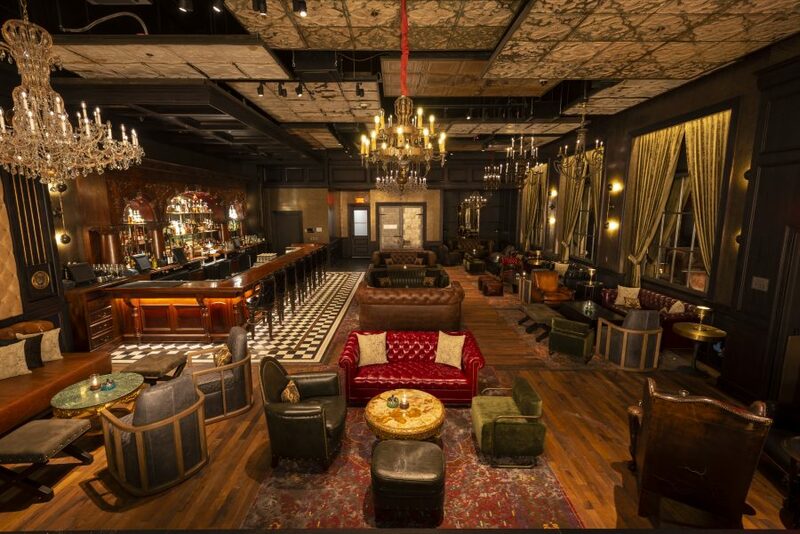 We invite you to join us for a cut, a drink, or both at our brand new Las Vegas speakeasy! We think you’ll be delighted by the experience. 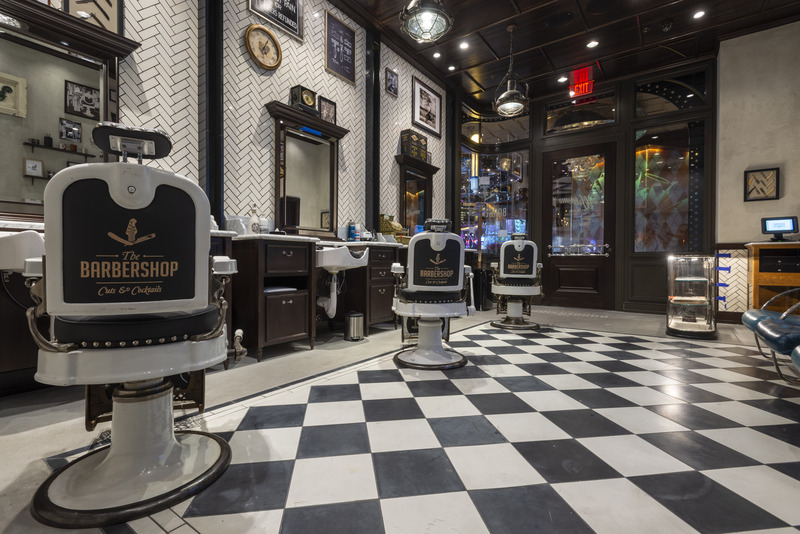 Have you visited The Barbershop yet?